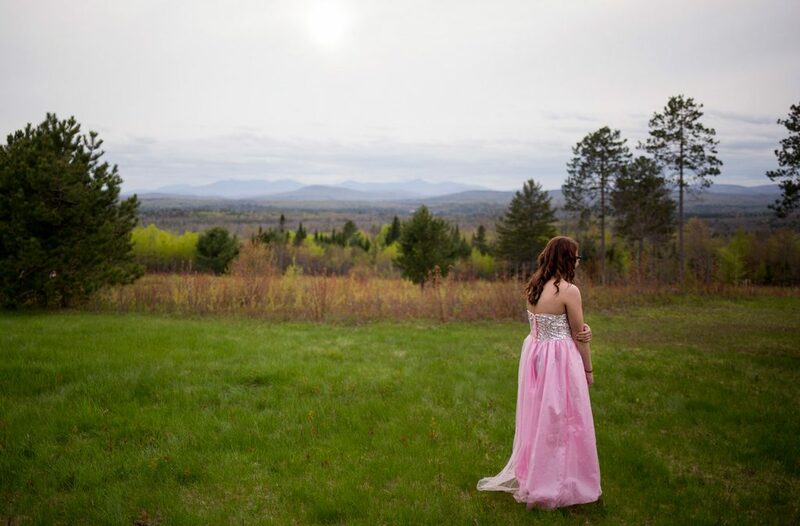 At Carrabec High School in North Anson, the prom isn’t just for juniors and seniors. 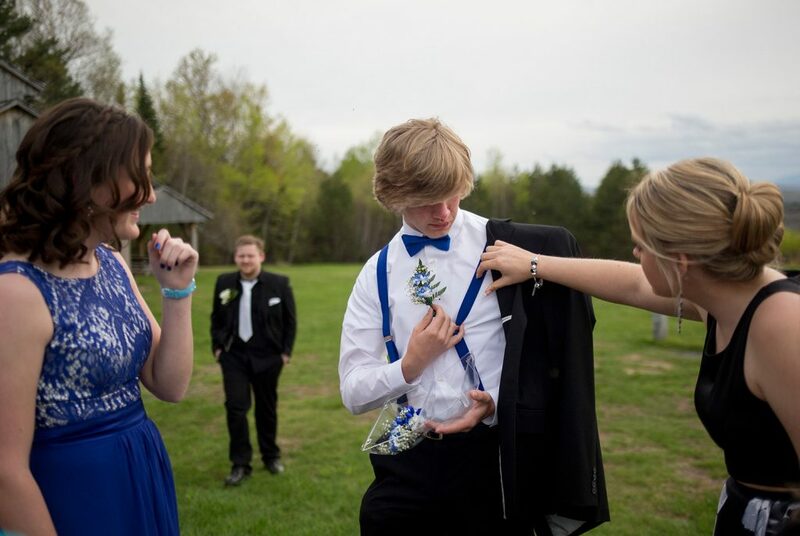 The whole school is invited. 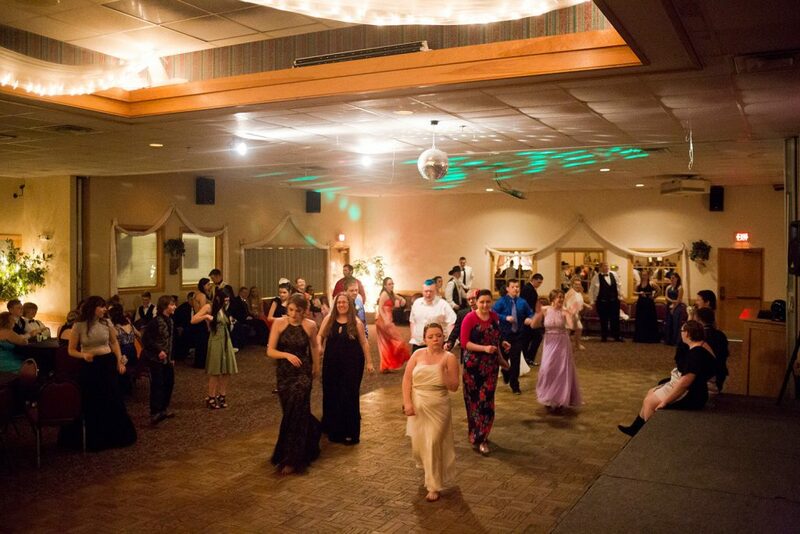 Otherwise the banquet hall where it’s held would feel pretty empty, since there are roughly 50 students in each grade. 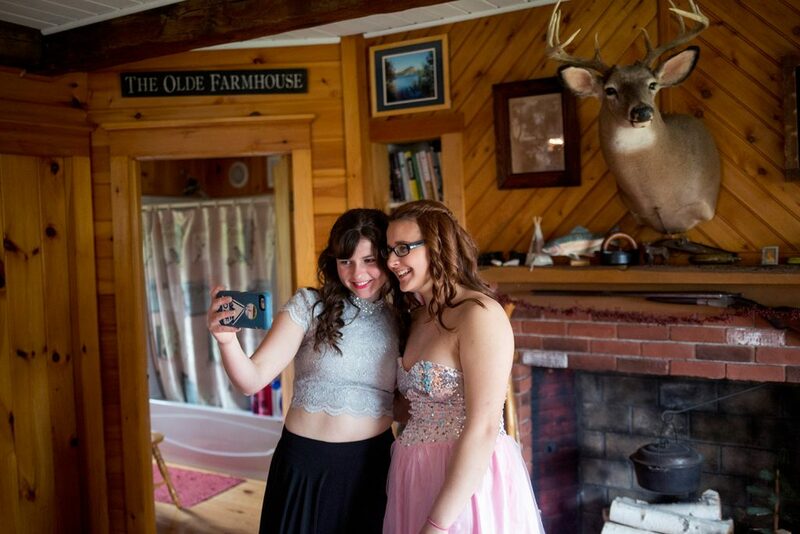 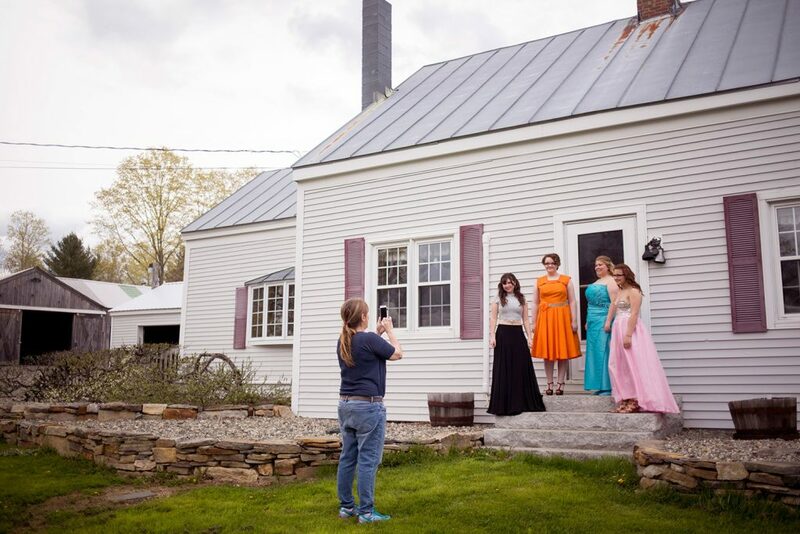 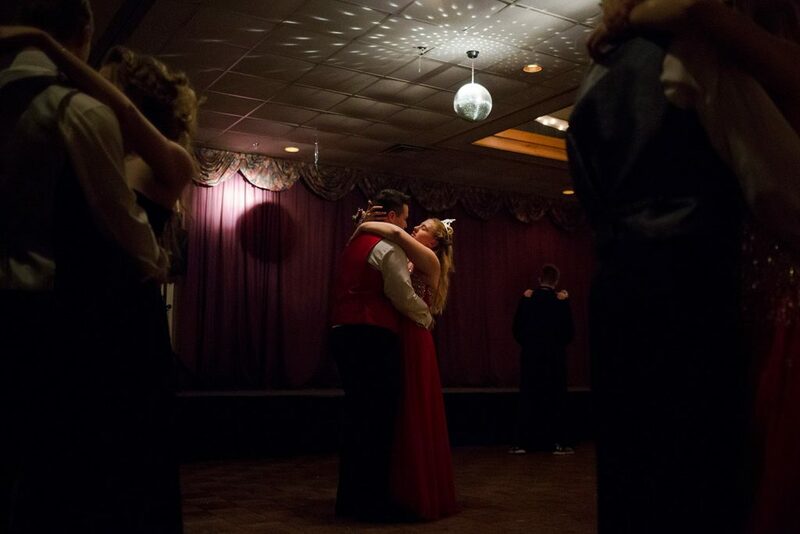 Two-thirds of Maine’s schools are in rural areas – many in remote areas – and their proms aren’t as glitzy and pricey as some of those in the Greater Portland area. 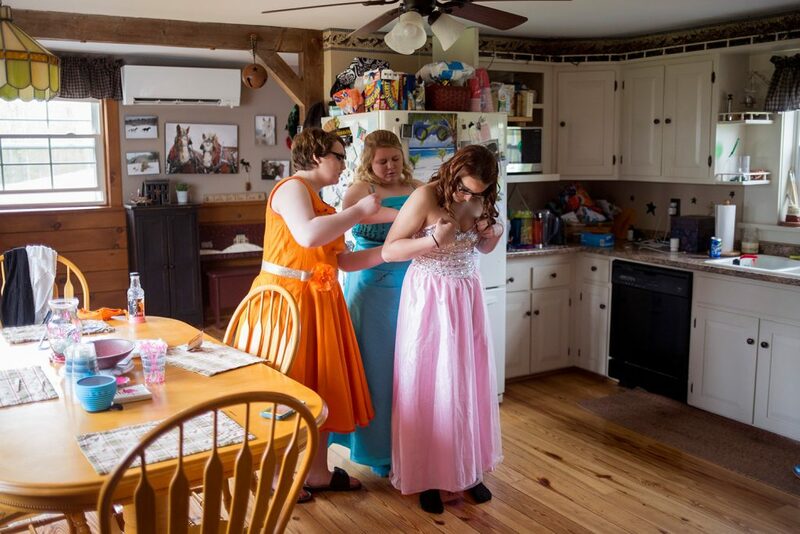 In fact, the point of some of these proms is to raise money, not to spend it. 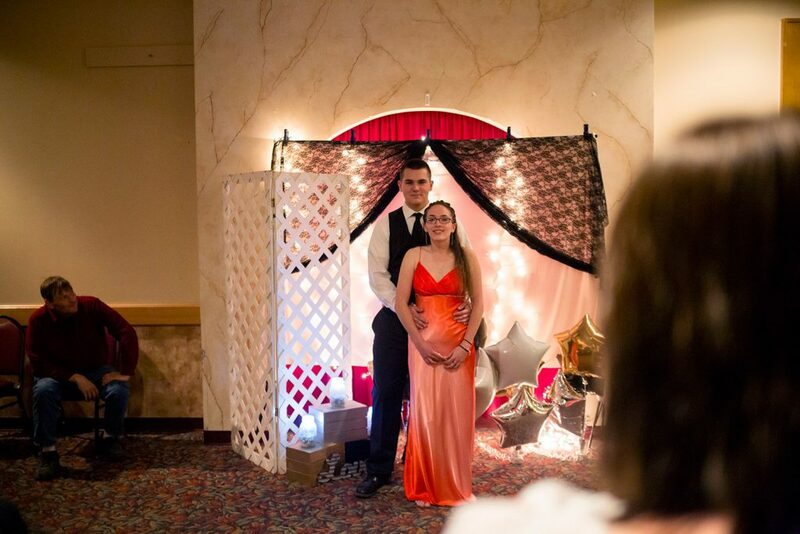 At Carrabec – whose students come from Anson, Embden, New Portland, North Anson and Solon – money raised from prom tickets helps next year’s graduating seniors pay for caps and gowns, yearbooks, the senior sweatshirt and the senior trip. 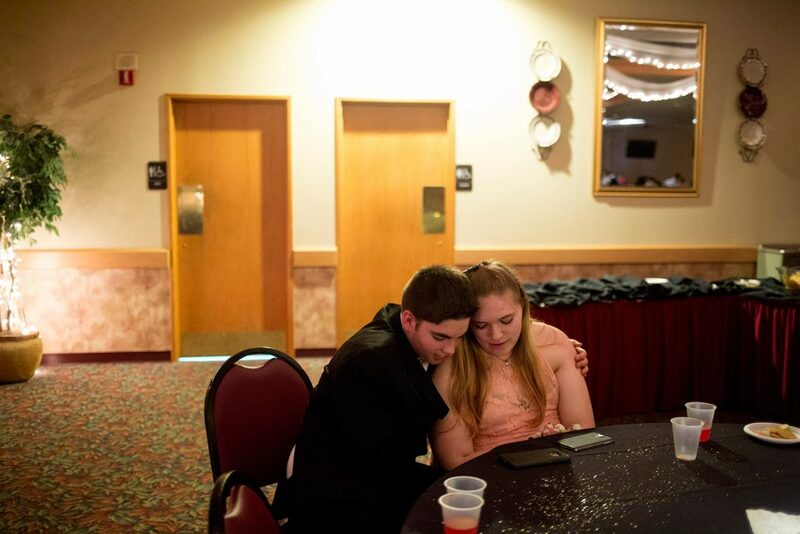 The school keeps the actual cost of the prom low. 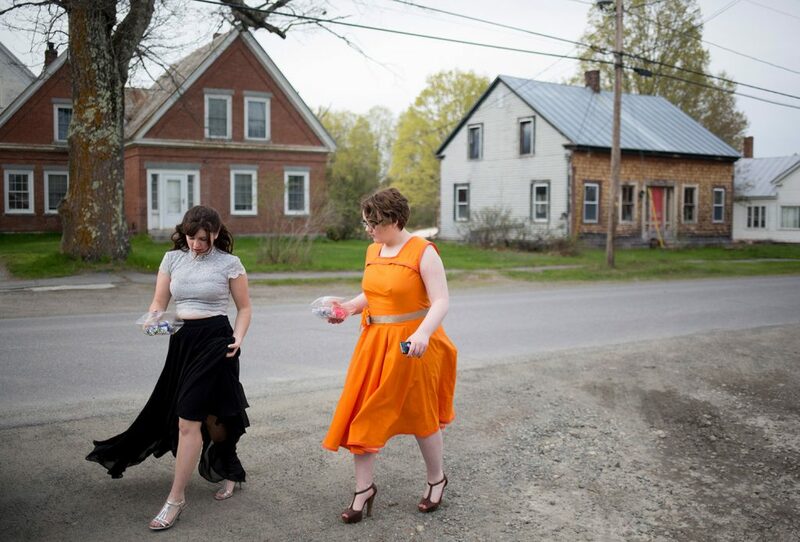 Held at T&B Celebration Center in Skowhegan, the Carrabec prom didn’t even have a DJ – Sarah Harriman, an English teacher, played music from a Spotify playlist. 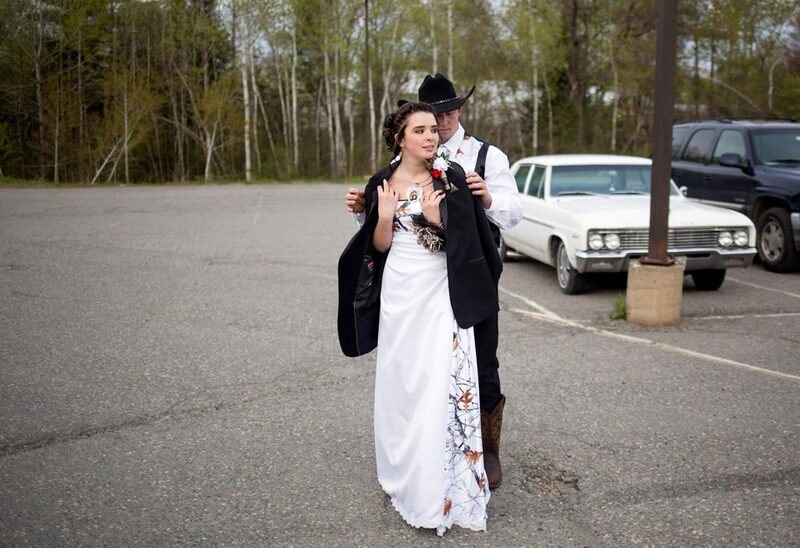 Kiara Pinkham,17, and Drake McKenney, 16, who have been dating for nearly three years, showed up in a subtly matching hunting-inspired dress and suit. 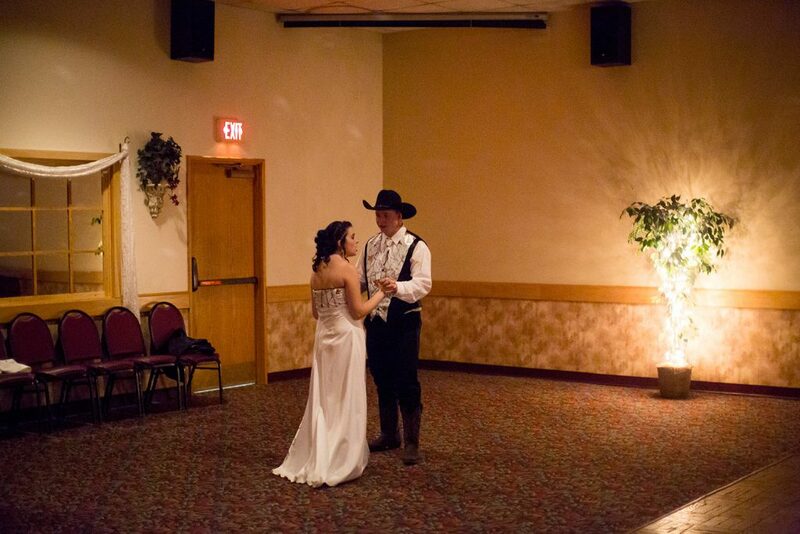 They slow danced to sweet country ballads for most of the night. 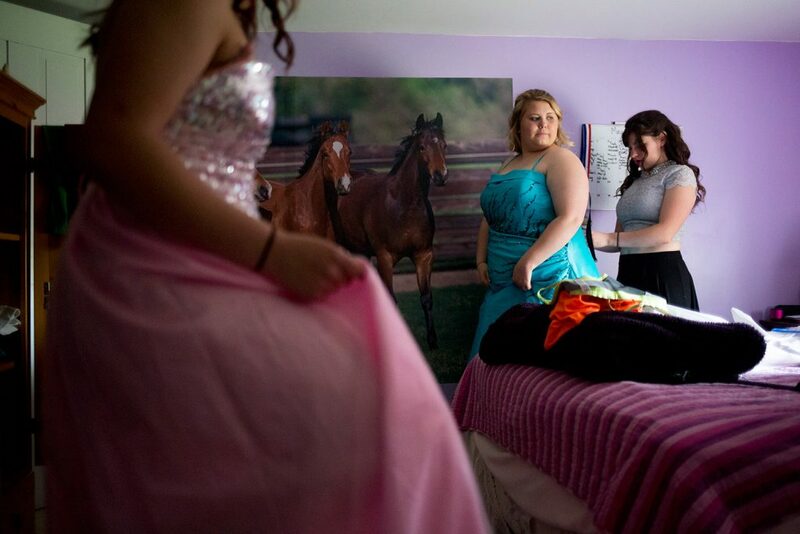 Lauryn Serafino, a 17-year-old junior, wore a bright turquoise gown she found it at Goodwill for $6. 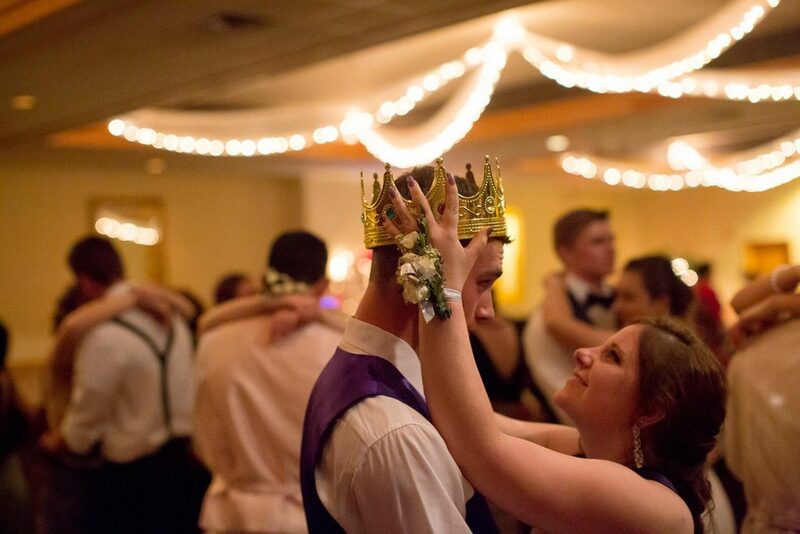 She requested “Time After Time” by Cyndi Lauper at the makeshift D. J. booth, then was crowned prom princess.